Your website shouldn’t be your second job! We don’t let you be alone until you shut down your site, if you allow us to. A well updated Website attracts 50% more visitors and 75% more repeat visitors. A Successful and Result Oriented Website needs Constant Updates, Revision of Content and needs to be kept running on the Latest Web Trends and Technologies.Today’s informed consumer is able to quickly find your Website and Digital Marketing Presence to assess your credibility and whether you’re worthy of their time and money. Websites that stay fresh and are constantly updated are proven to Increase Traffic, Boost Sales and Leads and Strengthen Brand Authority. Today’s consumer uses an Organization’s Website to shape their opinions. Your Organization’s Online Credibility can be impacted by Outdated Content, Broken Links, Security Concerns and a Myriad of Functions the modern consumer has come to expect. K3 Web Creation’s Website Maintenance Service Team works with you to keep your Website as Professional as you are. 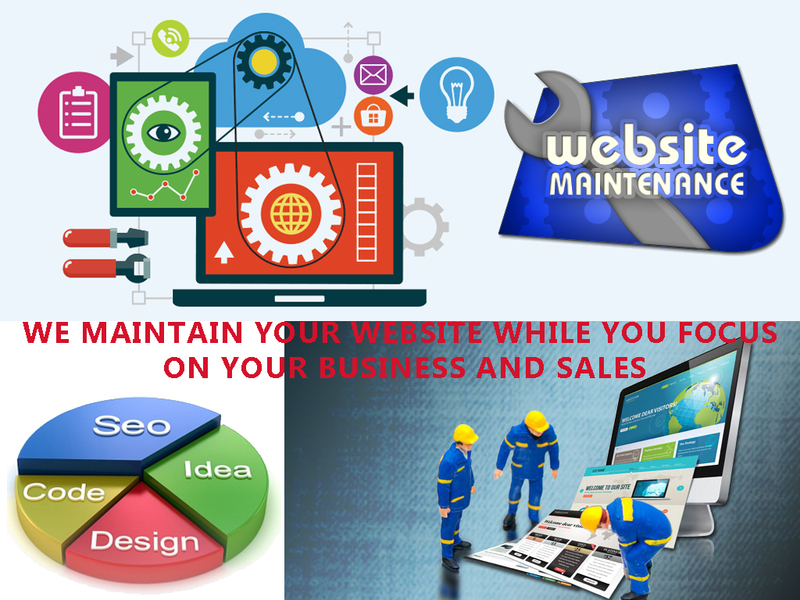 K3 Web Creation’s Website Maintenance Team ensures that your site is always current and your project stays within budget. We include all of the services you require in order to ensure both the short and long-term success of your Internet Business. We deliver your project on time, on budget and with exceptional Customer Service. Our core values demonstrate who we are and how we work. Website Maintenance includes Promotion to Search Engines and Directories, Content Updates, Re-design Web Pages, Update Images, and Support via Telephone and E-mail. Website Maintenance also includes Revising, Editing, or otherwise Changing Existing Web Pages to keep your Website up to date. The Periodic Addition of New Web Pages is also part of Maintenance Services. What are the Benefits of Maintaining your Website Regularly? Updating the Website every now & then attracts visitor to re-visit your Website. It creates a right up-to-date impression of your Business and Website. It also creates a good influence of well organization. Updated Website communicates with their audiences. Virus, Bugs and browser Incompatibility Removal. Updating important Dynamic Sections like News, Tenders, Offers, Events, Photo Gallery, Jobs, etc. Small and Large Content Updates. Replace Images i.e. Pictures and Graphics. Keep a “Latest News” & “Up-coming Events Section” in your Website. Always use a Post Date and Time to create a sense of urgency. Do Renew or Update Content License Statement at bottom of your website to current year. Website maintenance can be used for simple Website Updates such as changing Text or Images on a Web Page; we can also help with Maintenance of Photo Galleries of your Offices, Warehouse, Factories, and Products etc. K3 Web Creation’s Website Maintenance and Website Support Services or Website AMC Services in Mumbai, India can provide you with ongoing, reliable and affordable Website Solutions, delivered in a timely and professional manner. Whether you are a Small Home-Based Business or a Larger Corporate or Government Organization, we can respond to your requirements and provide you with the support you need. Check our Client Say what about our Website Maintenance and Support Services. If you would like to discuss your requirements in more detail, please don't hesitate to contact us.